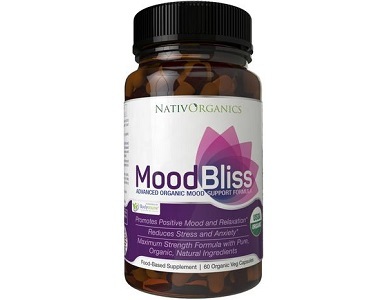 This review examines the supplement Mood Bliss, which is manufactured by NativOrganics. It is claimed that this product has been formulated to focus on inflammation of the neck and shoulders. It purports to enhance the mood and assist with mood swings. It promotes stress relief and relaxation while reducing anxiety. NativOrganics is sold as a natural calming product. Together these ingredients encourage a positive mood while minimizing anxiety and stress. St John’s Wort helps with mild depression and ameliorates anxiety and stress. Other ingredients: organic vegetable capsule shell. As this product is presented in a gelatin-free capsule, it is suitable for both vegans and vegetarians. This product is free from artificial flavors or colors, dairy, lactose, soy, gluten, wheat, yeast, stearates or GMOs. However, even though this formula contains many of the key ingredients such as chamomile, passion flower, as well as lemon balm, that are clinically proven to be effective, it lacks a night time formula and ingredients such as 5-HTP, magnolia, Brahmi, taurine, or even magnesium. More so a separate nighttime anxiety formula to aid sleep, balance sleep or wake cycle, regulate circadian rhythms and promote restful sleep. This product does not contain melatonin, essential for dealing with anxiety-related insomnia. 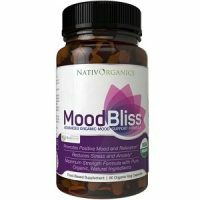 How Do You Use Mood Bliss? The manufacturer of this supplement states that one (1) or two (2) capsules should be taken daily. 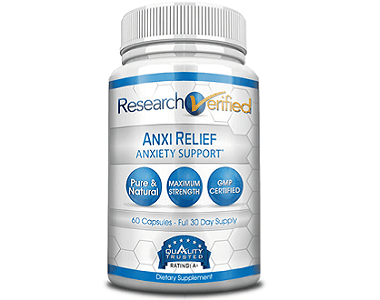 The manufacturer of this anxiety relief supplement also states that these capsules can be taken as needed, but that a daily dose of 2 capsules should not be exceeded. However, it is not stated when the capsules should be taken, or whether with or without water or food. Moodbliss is available online at $25.95. All orders within the US qualify for free shipping. Each bottle contains 60 capsules or a month’s supply. The manufacturer of this dietary supplement does not offer any discounts or any package deals to make the product more economical. Even though the manufacturer of this supplement indicates that they offer a full money-back guarantee, the terms and conditions of this pledge are not clear. The consumer is asked to contact the manufacturer. No details are given of how many days one has in which to return the product or in what condition it must be returned. The product Mood Bliss seems promising, in that it comes with a money-back guarantee, albeit that the terms of this guarantee are unclear. Nonetheless, this dietary supplement product is presented in gelatin-free capsules which makes it suitable for vegans and vegetarians. On the downside, this product is not offered in package deals with discounts which could have made it more affordable. In addition, the dosage instructions are not clear. This could impact the outcomes if the consumer is not using the product as intended.